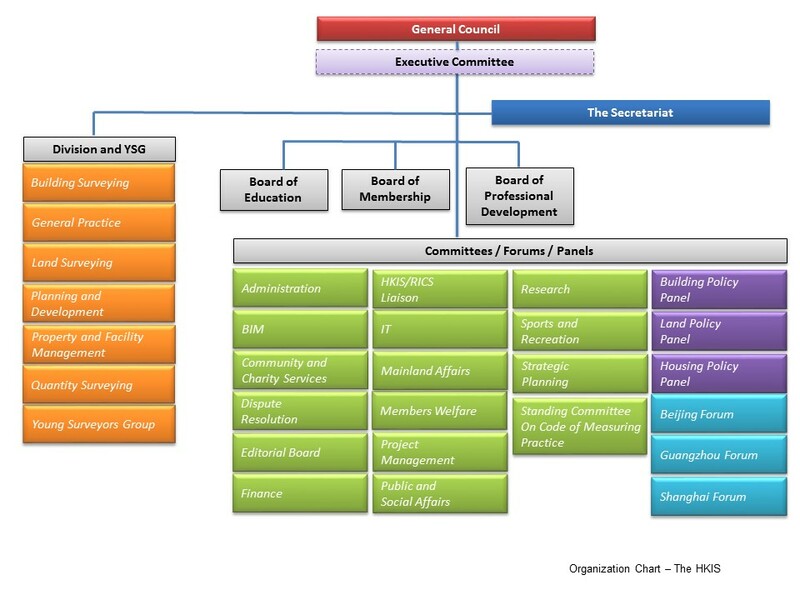 The General Council governs HKIS and oversees the functions and activities of the Divisions, Young Surveyors Group, Board of Membership, Board of Education, Board of Professional Development, Surveyors Times Editorial Board, Surveying and Built Environment Editorial Board, and the appointed Committees including the Executive Committee and Standing Committees. The General Council and all boards and divisions are operated by volunteers from the profession and is supported by the HKIS Secretariat. 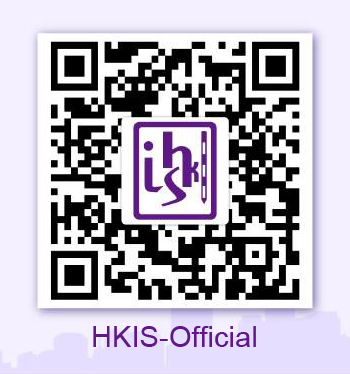 HKIS has six Divisions by reference to respective professional practices. They are the Building Surveying Division, General Practice Division, Land Surveying Division, Quantity Surveying Division, Planning and Development Division and Property and Facility Management Division.